AI-AP | Profiles » Photographer Profile - Martine Fougeron: "I felt that these were unheralded people"
Photographer Profile - Martine Fougeron: "I felt that these were unheralded people"
Fougeron had never heard of the neighborhood before moving there from the West Village area of Manhattan in 2009. At the time she was looking for a bigger place to live with her two teenage sons, as well as space for storage and a studio. “A friend of mine said it was kind of neat, and I said, ‘Okay, I’ll have a look,’ she says. Fougeron went there by car the first time — a mistake. “I thought, ‘Oh my god, it took so long to get here from downtown,’” she says. The next time she took the subway — the 6 train — which was faster. “I fell in love with the space I could have, the freedom I could have there,” she says. Once she moved to the out-of-the-way enclave, she began to discover something hidden away within it: The unseen world of American industry unfolding inside its nondescript five- and six-story brick buildings. 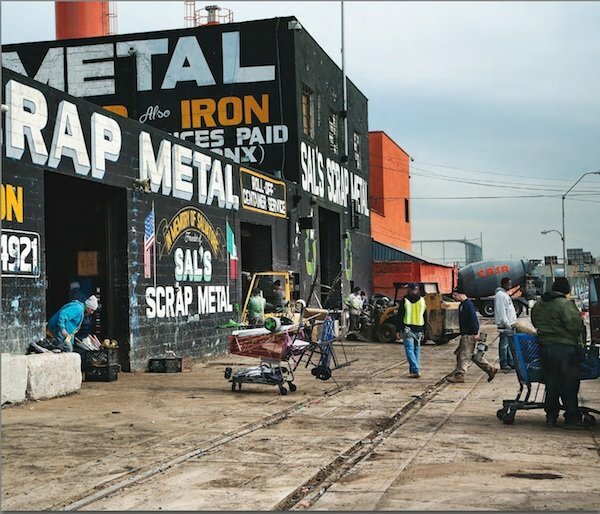 The result is Fougeron’s series “South Bronx Trades,” a layered portrait of the businesses and the workers of the area that goes on view at the Bronx Museum tomorrow and runs through June 26. 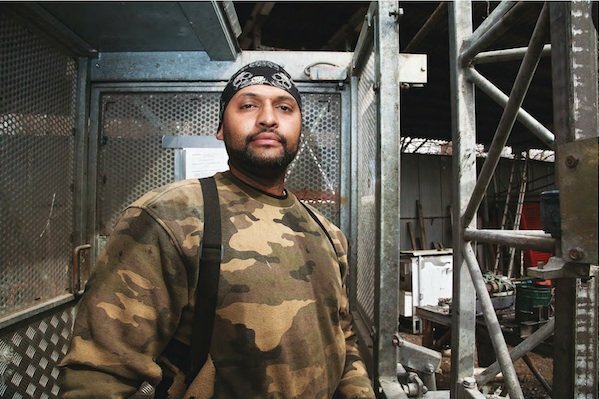 Fougeron’s images underscore both the skills and diligence of the laborers and the importance of small businesses that have traditionally offered immigrants financial stability and a path to US citizenship. Coming in the midst of a president campaign in which immigration and jobs are hot-button issues, Fougeron’s project has a political relevance, as well as a social one, though she never planned it that way. As she came to know her new home, Fougeron grew intrigued by the unique view of American life that Port Morris provided her. “I felt that these were unheralded people who no one talked about. They have special skills, and all this was happening eight miles from the Metropolitan Museum,” she says. “And I thought, ‘Well, I’m going to talk about these people.'" Fougeron captured the various trades she found in Port Morris and nearby Hunts Point — everything from industrial steel production to baking and printing — from several perspectives. 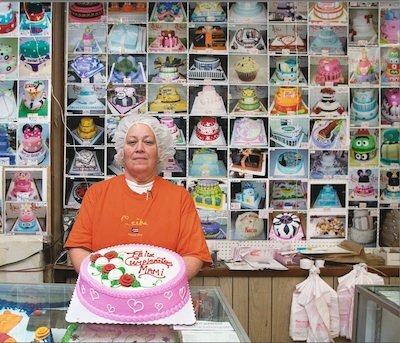 Among those Fougeron photographed was Nancy Reyes, who has been adorning specialty cakes at the Valencia Bakery for 23 years. “She is so devoted and writes with such care on each cake,” Fougeron says. She also photographed workers at the Charles H. Beckley company, which has been making custom bedding since 1931, and the operations of the Down East Seafood company, which supplies high-end New York restaurants and caterers. Another company she photographed, the Bronx Brewery, hints at the gentrification that is transforming the area. The Midland Steel company, which cuts to measure 20,000-pound rolled steel coils for various uses, impressed her deeply. “You see these massive coils being lifted by a machine that a man is operating — he can’t mess up or they would drop on him. He’s doing it instinctively, it’s like a ballet,” she says. It took more than six months to convince some owners to allow her inside their businesses. “I showed them jpegs of all the pictures I shot, that was part of the deal to get them to trust me,” says Fougeron. She also supplied the business with free images for their websites. Fougeron was born in France but lived in the US as a kid in the early 1960s. Her family moved back to France in 1967, and then she returned to the US in 1972 to study at Wellesley College. She later went to work in New York as a creative director in the corporate world and became a US citizen in 1996. One of the reasons she started the project, she says, was to learn how to work with lights and a 4x5 camera. “All that gear was very heavy, so I took pictures in my my dining room. The whole series was basically shot in our home,” she says. After her move to the Bronx, she was ready to view life outside her home. “I felt the need to get away from the studio atmosphere and reach beyond my immediate family,” she says. 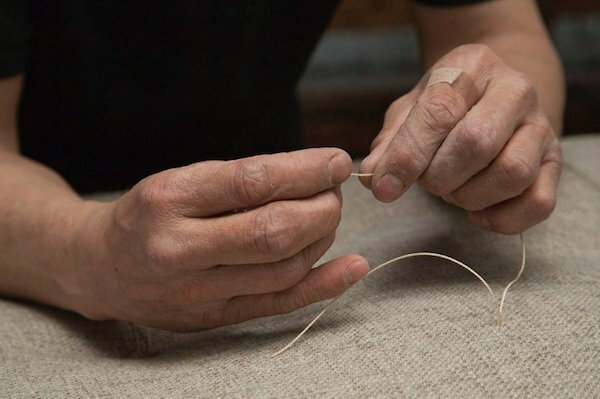 Ironically, Fougeron notes, what she found was another kind of family at her doorstep — people who, like her, were practicing their trade — their metier — with dedication.